It's easy to register, and comes in handy later! 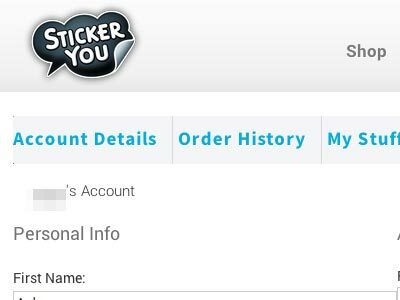 Save your work: Save your pages and uploaded stickers for later, and keep it all organized within your account. View your Order History: Comes in handy when you want to re-order, or check up on a confirmed order. You can see your order status. Your shipping and billing addresses are saved as well - so you don't need to re enter it all on your next order. Help us help you: If you ever have any questions or concerns about a confirmed order we can assist more easily with a registered account. If you placed an order as a guest the first time and would like to place another order, you need to follow a few simple steps. Go the login page and click "change password". We will send you an email with a link to change your password. Once you have set this up, you should be able to place your order. If you require any assistance, feel free to contact customer service and we would be happy to help!